O’Donovan Engineering’s Sheep adoption gate is a simple product that is making a big difference on farms during lambing season. 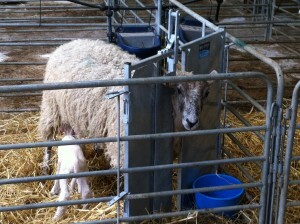 The adoption gate saves the backache and stress of moving the ewe to a separate pen when required. It can be connected to virtually any pen with 2 pins to keep it securely in place, and the head is then restrained so that lambs can be adopted easily. 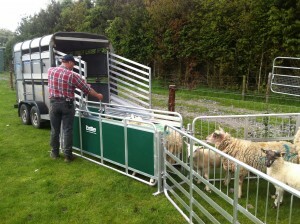 The adoption gate developed by Cork firm O’Donovan Engineering significantly reduces labour input to successful lamb adoption and increases the success rates of adoption. The fact that you don’t have to move the animal significantly reduces the stress, the gate can be fitted and removed in a matter of seconds therefore you are also saving time which is precious when lambing, especially when working alone. The mobile adoption gate was designed to complement O’Donovan Engineering’s already extensive range of sheep handling products including TruTest weighing, Prattley mobile sheep handling equipment and the IAE Handling systems. 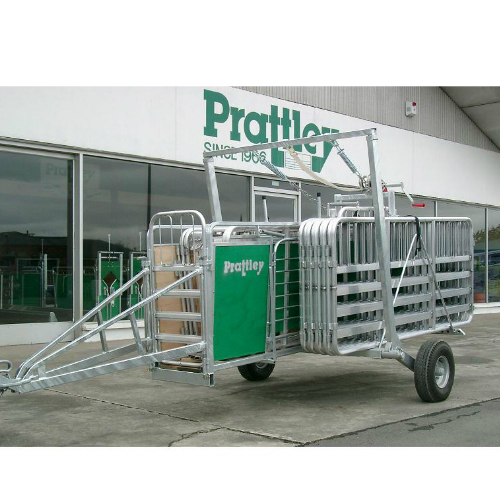 The Prattley handling systems distributed by O’ Donovan engineering, have been designed to make stock handling a simple one man job. When used in conjunction with a weighing system such as the Tru-Test you can save time and greatly improve the performance of your stock by allowing you analyse Key Performance Indicators, such as weight gain pre and post weaning. The lightweight trailer systems can be transported to any part of your farm for on the spot stock maintenance, it can be transported, assembled and operated by one person. All are available directly from O’Donovan Engineering by contacting 021 7334066. See the full range on www.odonovaneng.ie.